Eleanor Edna Timm, 89, of Hubbard Lake passed away Tuesday, January 29, 2019 at Precious Days Care Home. Eleanor Moggie was born September 16, 1929 in Detroit to the late Carl and Olga (Koening) Moggie. On September 4, 1948, she married Ewald Timm. He preceded her in death on June 23, 2015. Eleanor worked at Alpena General Hospital for 15 years, retiring in 1991. 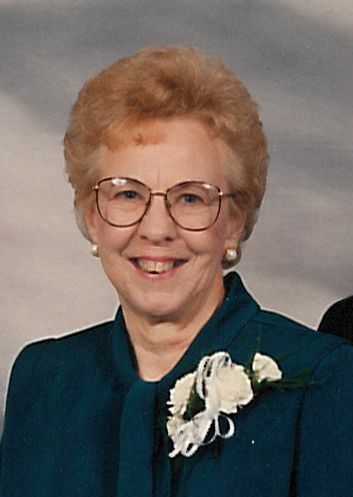 She was a member of St. Paul Lutheran Church – Hubbard Lake. Surviving are her two daughters, Carol (Robert) Christou, Barbara (James) Spinler; 4 grandchildren, Brian (Penny) Christou, Mark (MaryBeth Clontz) Christou, David (Sara) Hornick, Rebecca Brown; 5 great grandchildren, Dominick, Tristan, Jessica, Shailyn, Sylas; two brothers, Arthur (Iris) Moggie, Arnold (Alice) Moggie; and sister, Donnalee (Louie Bartz) Krentz. Mrs. Timm was preceded in death by her brother, Carl Moggie, Jr. and sister, Arlene LaFeldt. Visitation will take place Friday at Bannan Funeral Home from 2-8 p.m. and continue Saturday at St. Paul Lutheran Church – Hubbard Lake from 10 a.m. until the funeral service at 11 a.m. with Rev. Joseph Llewellyn officiating.